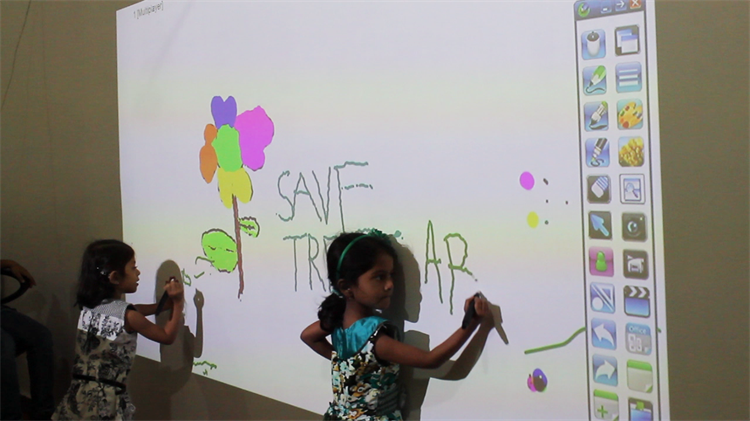 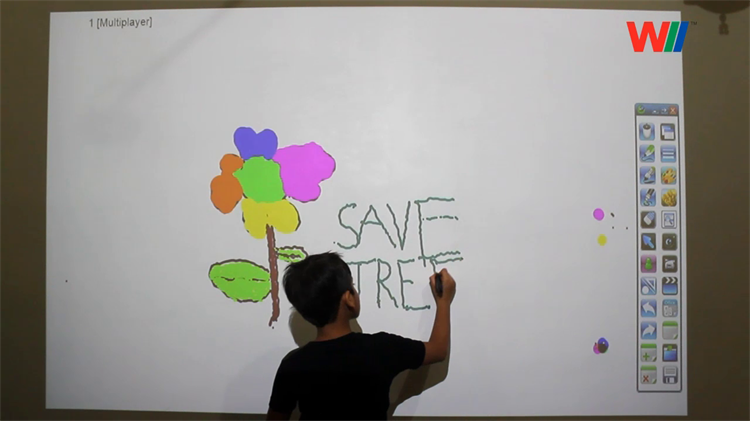 The frame-less portable Interactive Whiteboard kit can convert any standard whiteboard, plain wall or projected screen for size varying from 60 inches to 120 inches into a interactive touch screen using stylus like e-pen and e-pointer. 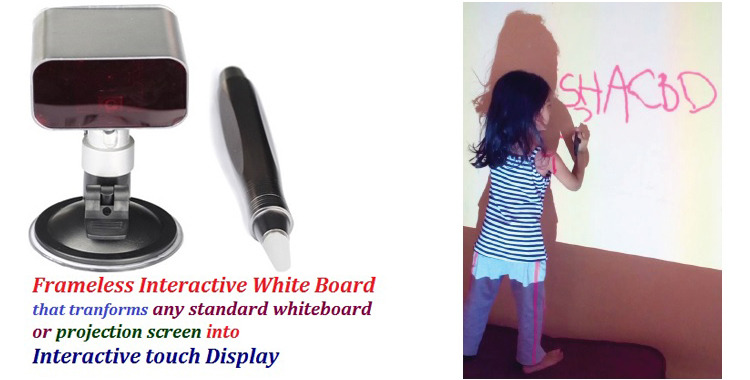 It is excellent low cost and flexible alternative for conventional interactive white boards which come with bulky frames. 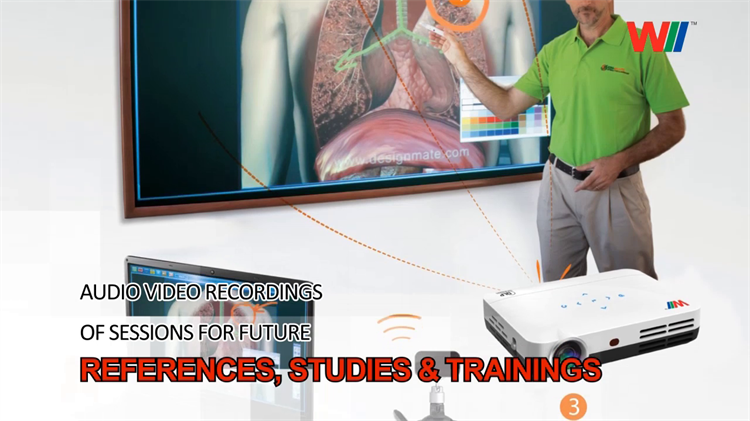 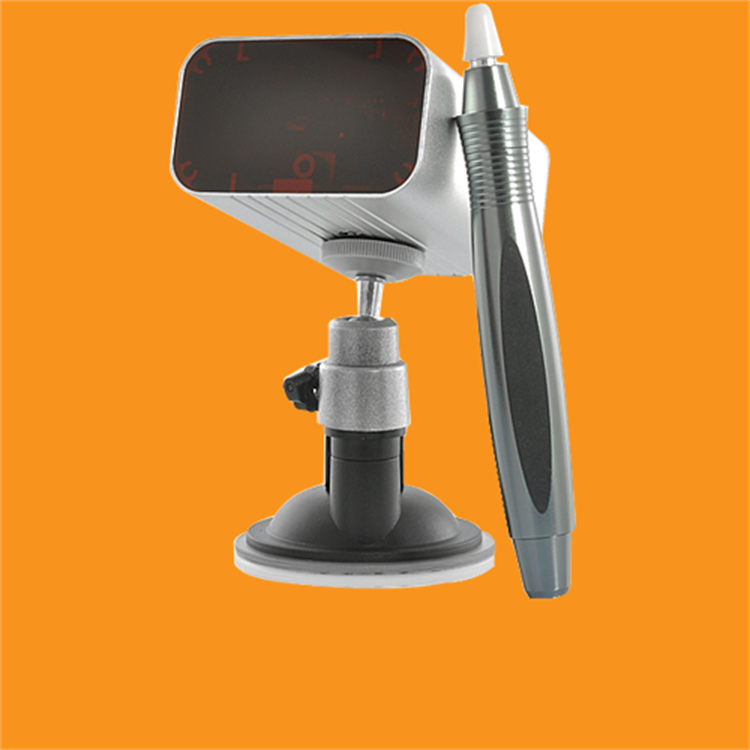 The kit has all features similar to existing conventional interactive whiteboards like video recording of training sessions, multi-user writing, accompanying free software for writing, drawing, photos-video browsing while training to name few.. 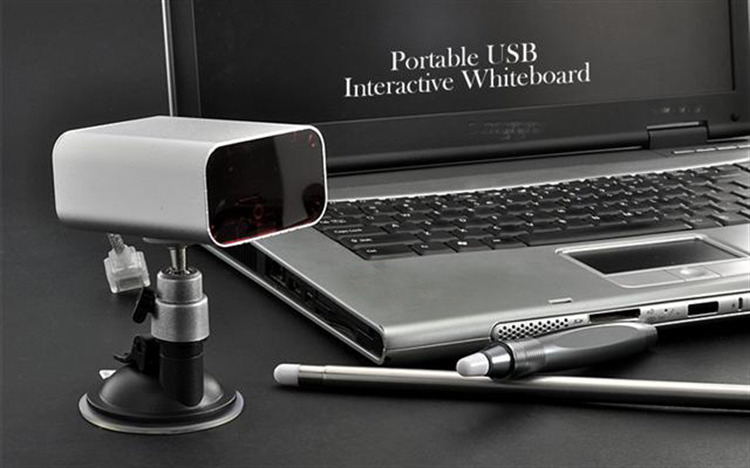 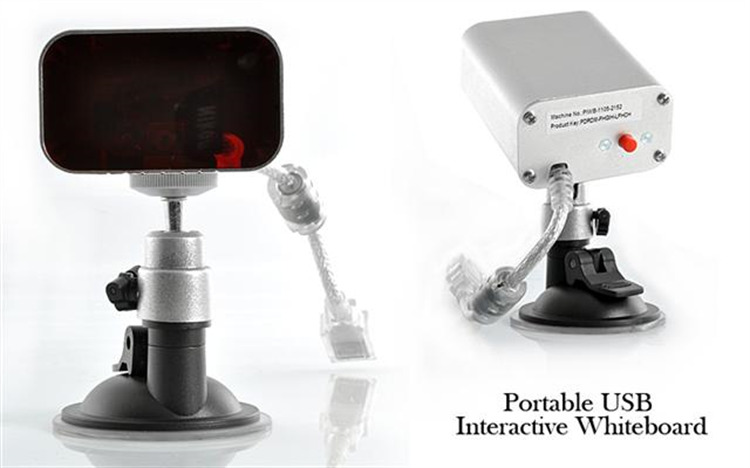 It enables to browse files and applications from the projected screen. 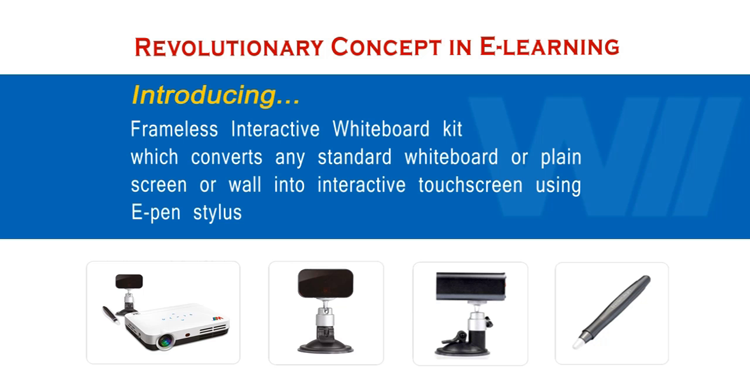 Convert existing standard whiteboards into interactive ones. 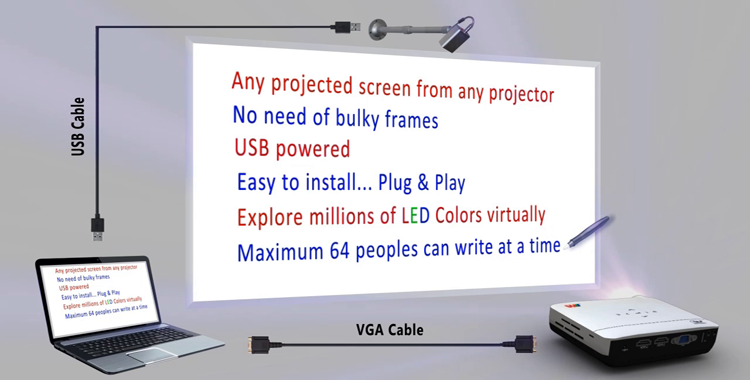 Any projector is OK to serve the purpose.The kit is independent of projector but display resolution should be equal or more than SVGA for better experience. 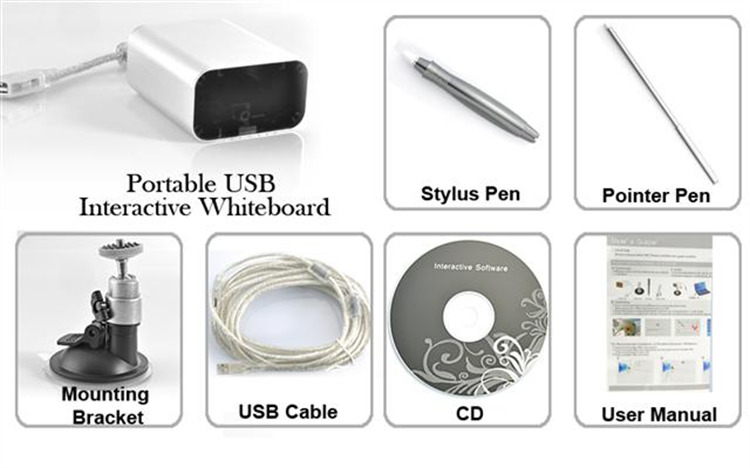 The Kit get power supply from USB cable which is also used to carry the receiver kit signal to the PC/Laptop.The E-pen or E-Pointer can also be used for browsing files and running applications just like mouse clicks do. 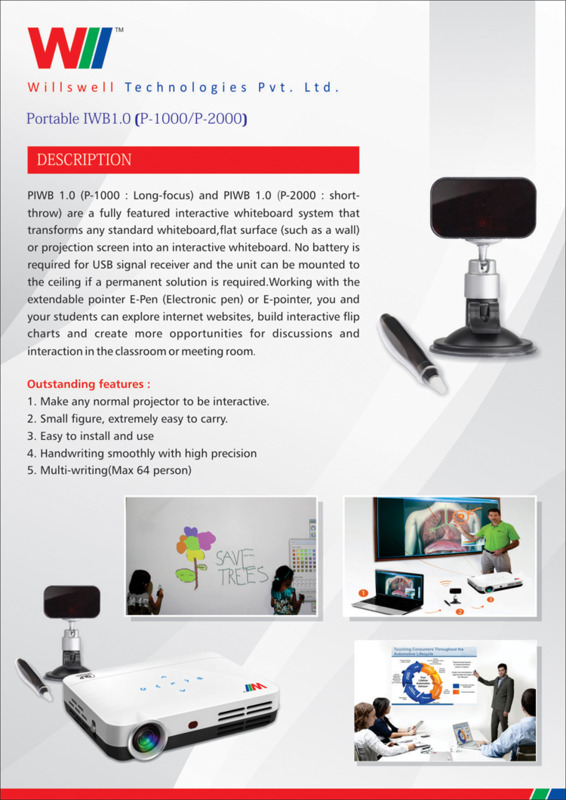 There are two models viz., Short Throw (to be fixed on the wall above standard white board) and Long Throw (to be placed just near the projector-good for carrying around). 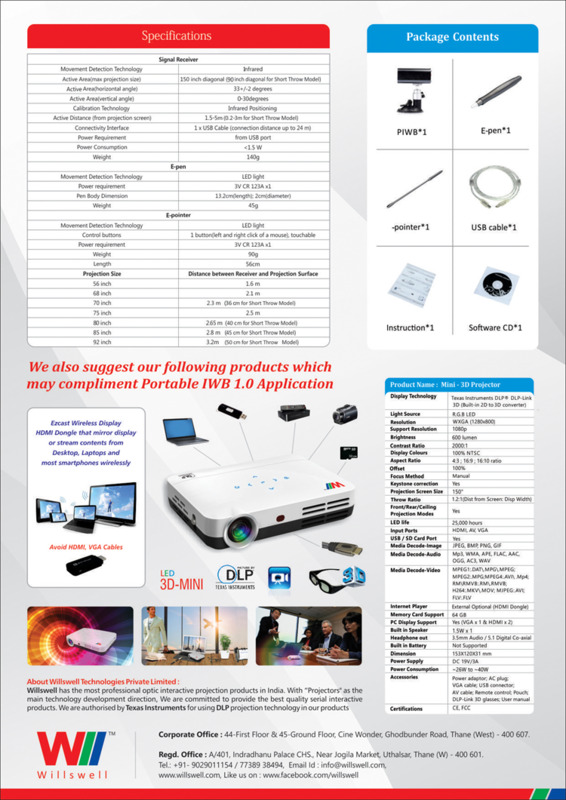 Copyright © 2018 Willswell Technologies.